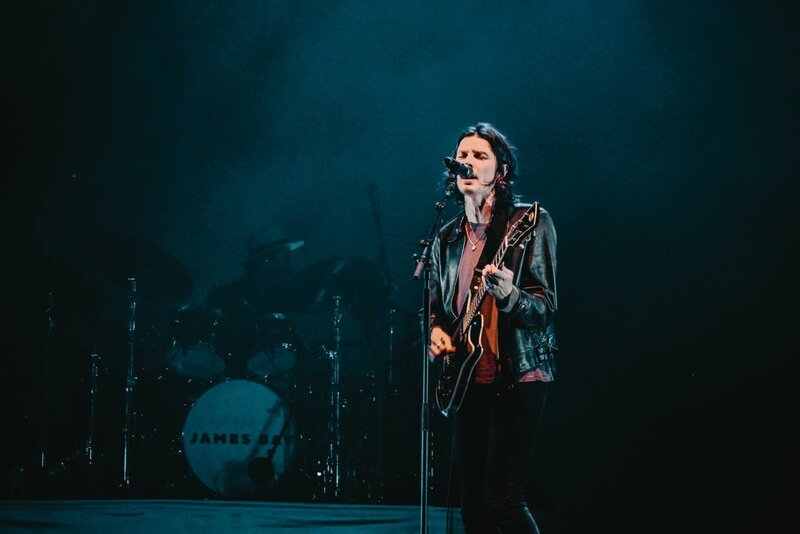 Indie-Rock artist James Bay brought his sold-out "Electric Light" tour to the iconic venue, The Wiltern in Los Angeles on Monday night. The British rocker opened his show with a song fresh off his new album, "Electric Light," to fire up the crowd. Feeding off the energy, Bay started jamming with his band straight into "Craving" a classic hit off his debut album, "The Chaos and The Calm." Within minutes of watching him on stage, there was no doubt that he was a proper musician who knows how to work a crowd and band. By that I mean he was really engaging with his band, and you could feel the energy radiating off him. There was no doubt in my mind that the sold-out crowd in Los Angeles felt it too. By song three, "Just For Tonight" Bay ditched his leather jacket erupting a roar of screams from the crowd. The real crowd winner for the night was "Best Fake Smile" and if the stage could light on fire from the energy, it would without a single doubt. The entire crowd was jumping up and down whether they were in the highest seats up at the top of the venue, or up close to the singer at the barricade. The song ended in one swoop, and the band exited the stage, but not before deafening screams begged for them to perform an encore. 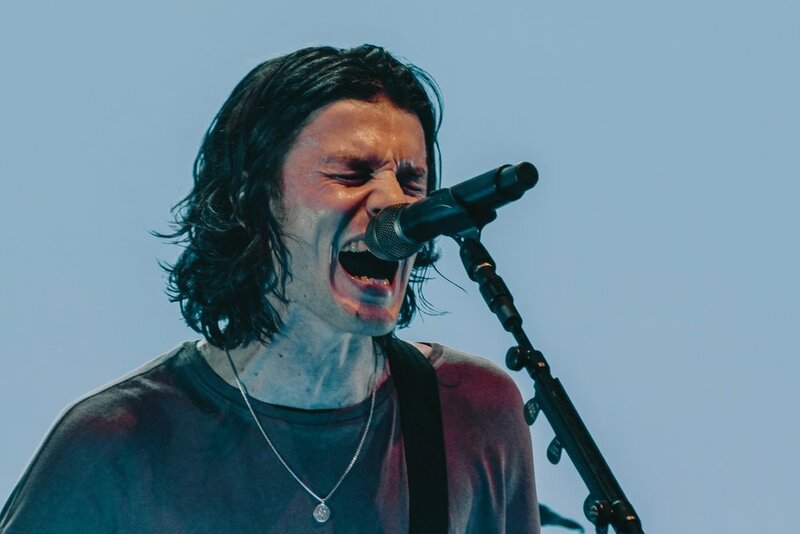 James Bay and the band came back to play a cover of "Come Together" by the Beatles and Mr. Bay's Grammy nominated single, "Hold Back the River" before signing off for the night. This show was refreshing to watch, and let me say it was completely worth waiting three years for his sophomore album.